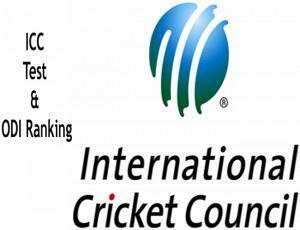 This article gives you the latest rankings made by ICC in 2012 January and February in all formats including Tests, ODI and Twenty20 cricket. Teams and players rankings are quoted in this article. Read the article full for more details. With the latest rankings made by ICC in February 2012, England is at the top with 4830 points in test rankings followed by South Africa and India at second and third place. Australia leads in ICC ODI rankings 2012 with 4458 points from 34 matches followed by India with 5229 points from 45 matches and South Africa at third place with 3137 points. While taking the T20 format, England again leads with 1435 points. New Zealand is at second place and Sri lanka at third with 1056 points. More details about the ICC team rankings 2012 in Test, ODI and T20 format are given below. England Leads the ICC test rankings 2012. England had a great year in 2011 and their consistent winning made them at rank 1 in ICC test team rankings 2012. They are having 4830 points from 41 matches with the rating of 118. South Africa is at second place with 3277 points from just 28 matches followed by India and Australia with 5111 and 4655 points More details about the ICC Test team rankings 2012 of each team are given below. Australia again maintains their top position in One day cricket 2012 with some great performance and winnings in 2011. Australia lead the ICC ODI rankings 2012 with 4458 points from 34 matches with the rating of 131. India is at second place with 5390 points from 46 matches with a rating of 117. Rank 3 and 4 is maintained by South Africa and Sri Lanka. Given below are the full ODI team rankings of ICC in February 2012. While coming to the shortest and most interesting cricket format, England is at the top position in T20 format in ICC T20 rankings 2012. England had scored 1435 points from 11 matches. New Zealand and Sri Lanka shares the second position with 1056 points from 9 matches. South Africa is at 4th rank with 900 points from 8 points. Full T20 rankings updated on February 2012 by ICC are given below. All rankings are given in an order from rank 1 to 10.